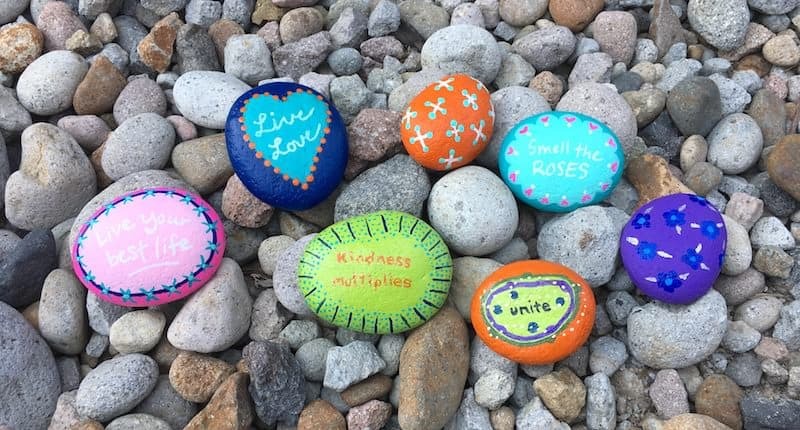 Do you need rock painting ideas for spreading rocks around your neighborhood or the Kindness Rocks Project? Here's inspiration and tips! Rock painting is big these days – and I totally get it. 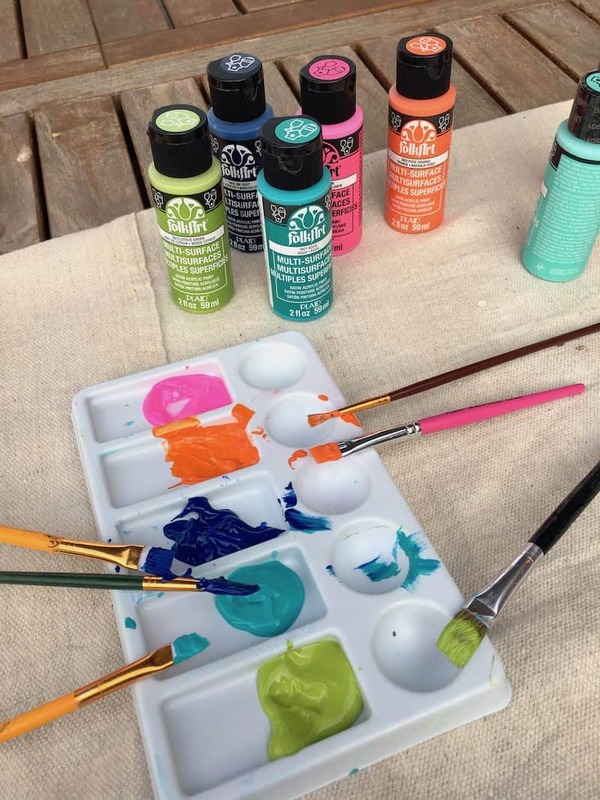 You've got one of nature's smallest canvases upon which to decorate, and endless combinations of paint, markers, and embellishments. 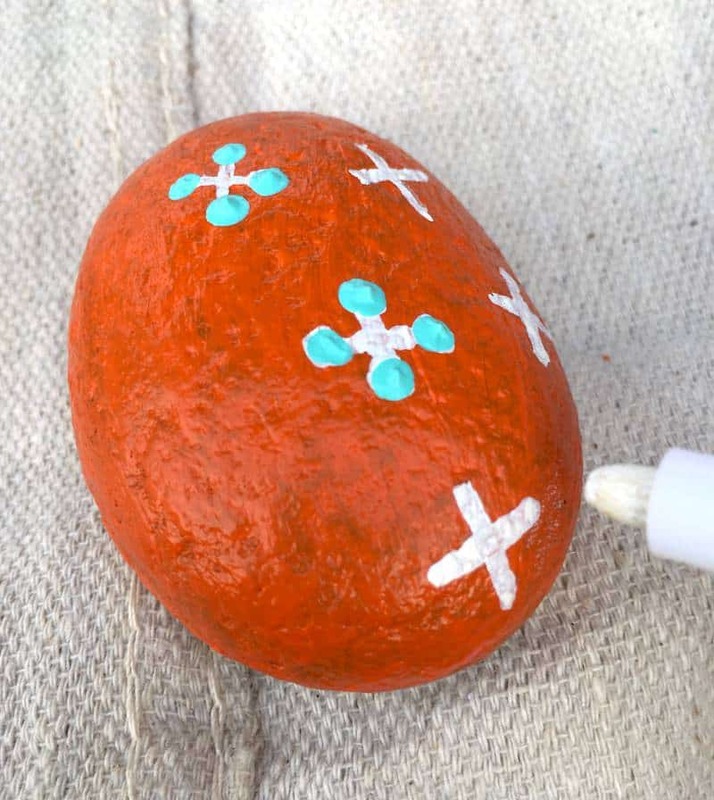 If you paint a rock you don't like, you can easily move onto the next. 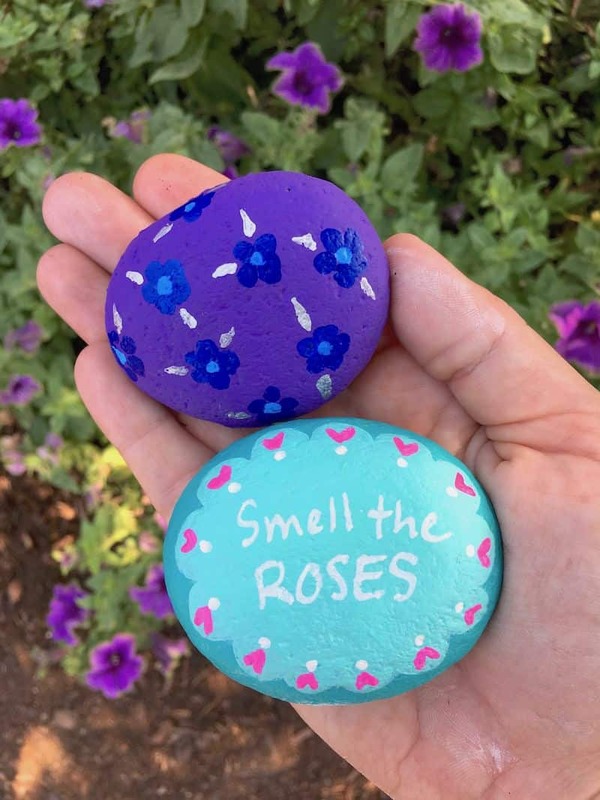 Then we haven't even gotten to the part where you can distribute painted rocks around your neighborhood (have you heard of the Kindness Rocks Project?) and put a big smile on someone's face. 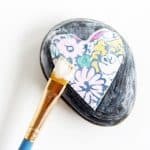 For these reasons I'm happy to share these rock painting ideas and tips with you! First you're going to need rock painting supplies. 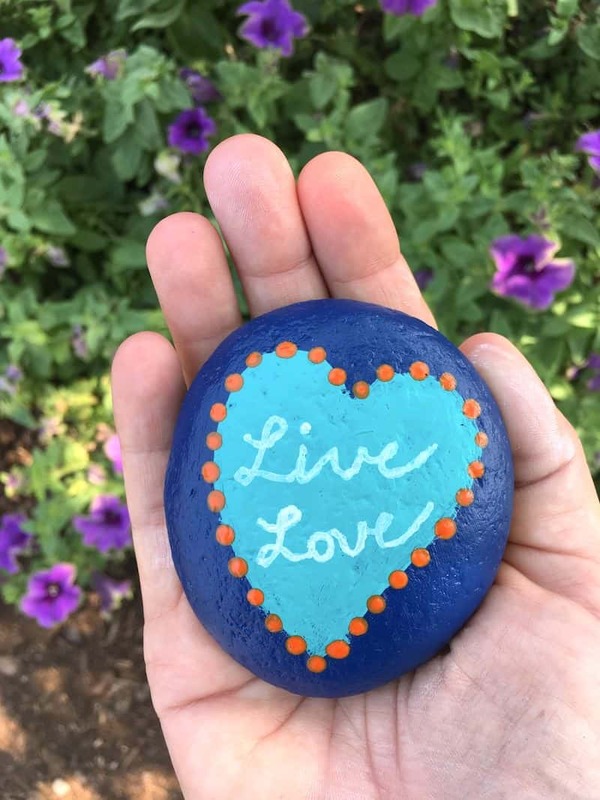 Find everything you need to join in on the painted rock trend at your local Michaels store! Step One: Wash all dirt off of your rocks if you found them outside. Michaels sells flat river rocks which makes it easy since flat rocks can be REALLY hard to find! 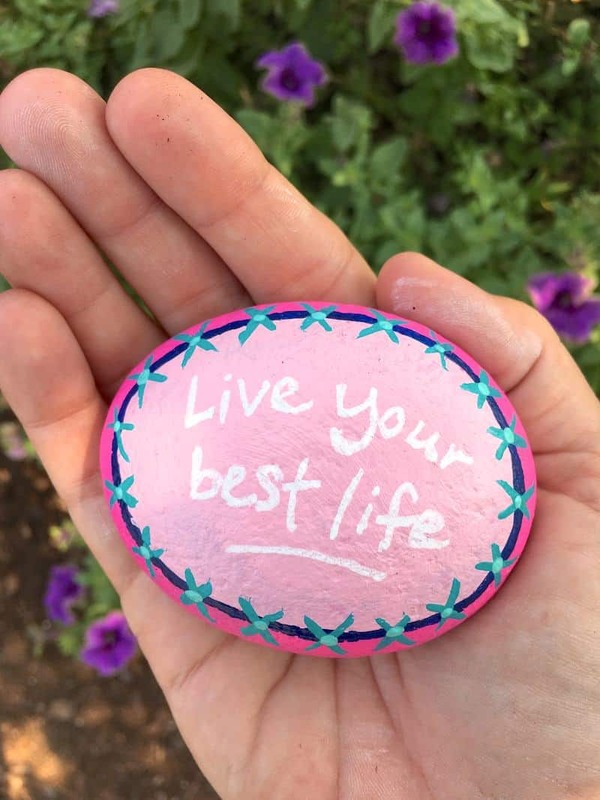 Step Two: Decide whether you are going to paint the rocks or write directly on them. If you are painting, move to step three. If you are writing directly on the rocks, prep the rocks with the brush-on or spray clear sealer. 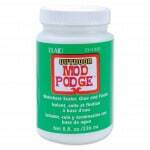 You won't want to use the Mod Podge Outdoor to prep because it doesn't take markers very well. Your oil based Sharpies especially can get their tips ruined very easily without this prep step! 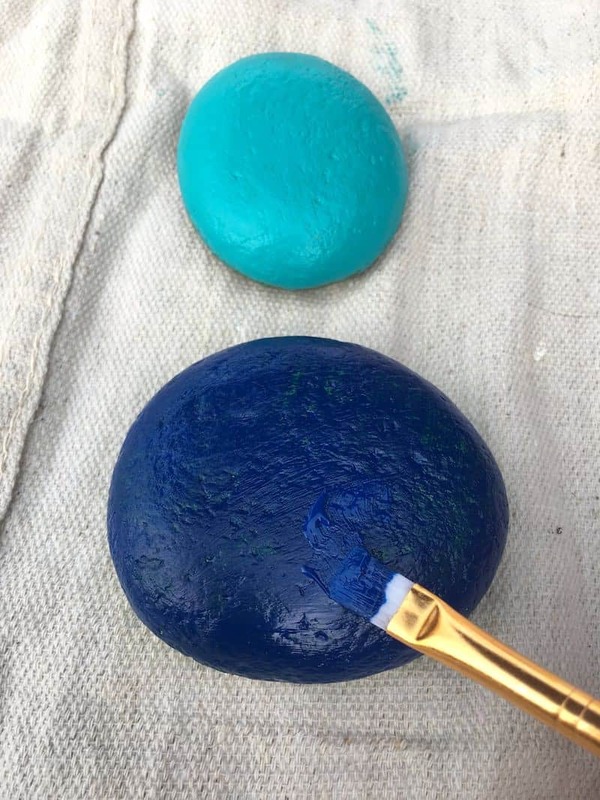 Step Three: Place your paint in a palette and get painting on your rocks! I found that most rocks only needed a few coats of the paint. Paint one side, let dry, then flip over and paint the other side. Once you are done painting, let everything dry. Step Four: If you didn't do the sealing from Step Two before since you were painting, now's time. Trust me. Step Five. 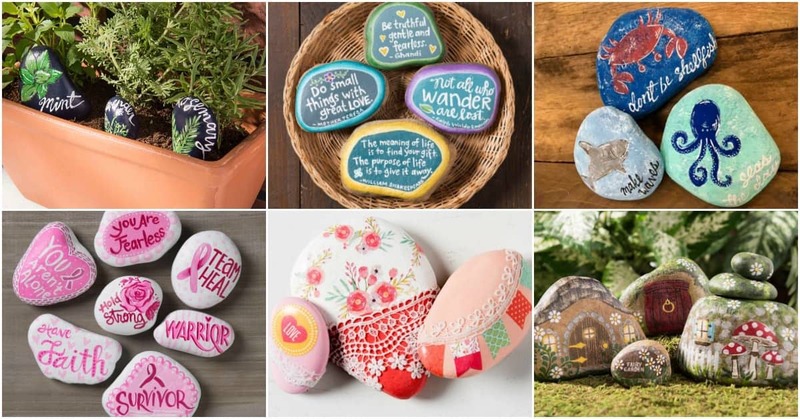 Embellish your rocks with sayings, designs, or whatever you like. I made those aqua dots with the end of a paintbrush! 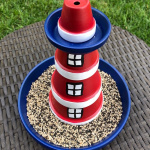 Step Six: Once your rocks are dry, coat them with Outdoor Mod Podge! Give several coats and let dry. 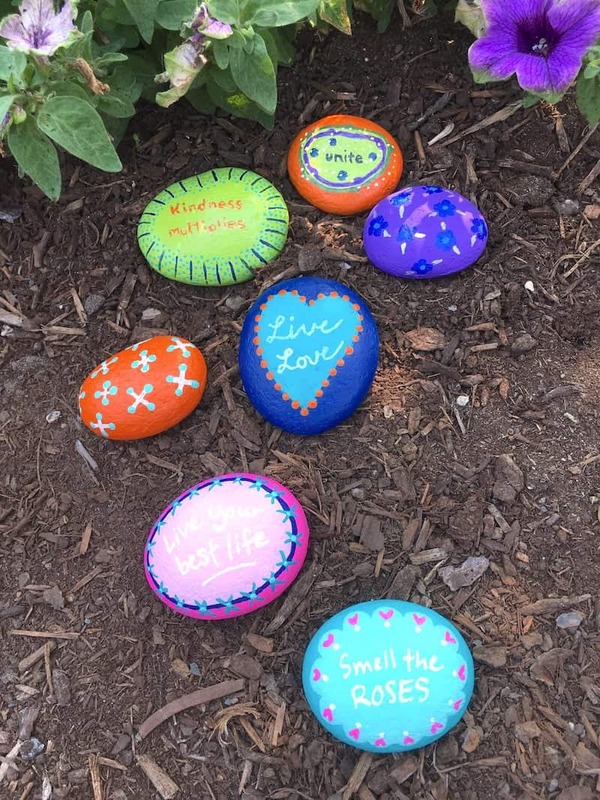 I had a great time decorating my rocks – it's hard to pick my favorite. 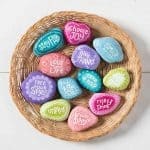 I hope these rock painting ideas will inspire you. Remember to be considerate when leaving your rocks places. Don't leave them at private residences or businesses without asking, and National Parks/National Forests are off-limits due to their “Leave no Trace” policies. 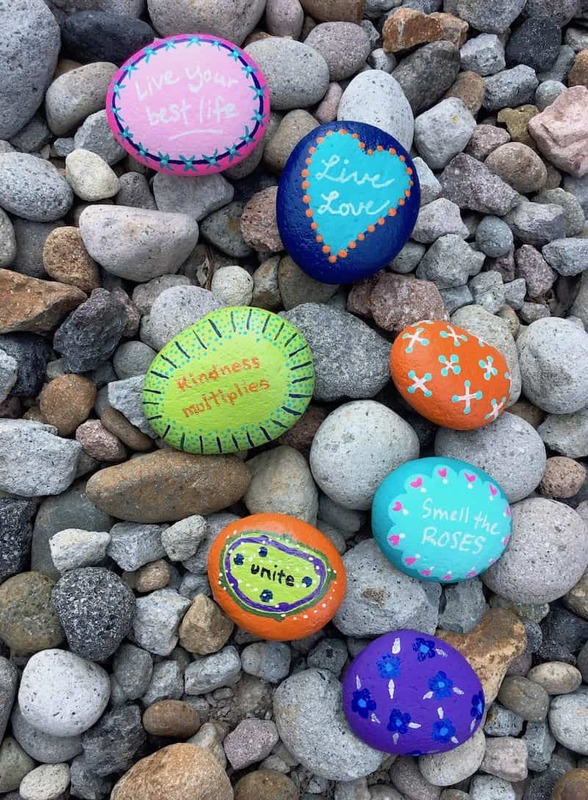 There are plenty of other places to leave your fabulous rocks to be found! i was in hr for years and we used and in technique to recognize outstanding customer service. each associate was given three rocks with the letter “U” painted on it (you rock!) when they saw another associate provide great service, they would give that associate one of their rocks and the ones with the most rocks won weekly and/or monthly prizes like front of the store parking for a week. it was fun and improved customer service, created alertness to others skills and peer to peer recognition as well as every day awesome performers that may have been under management’s radar! 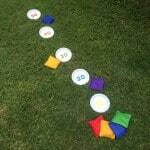 OMG that is such an awesome idea! I love it. It probably made everyone feel great. I adore your blog. Keep up the good work. I’m always excited to see what is new & I’m an old Hippy so I am a modpodger from way back.